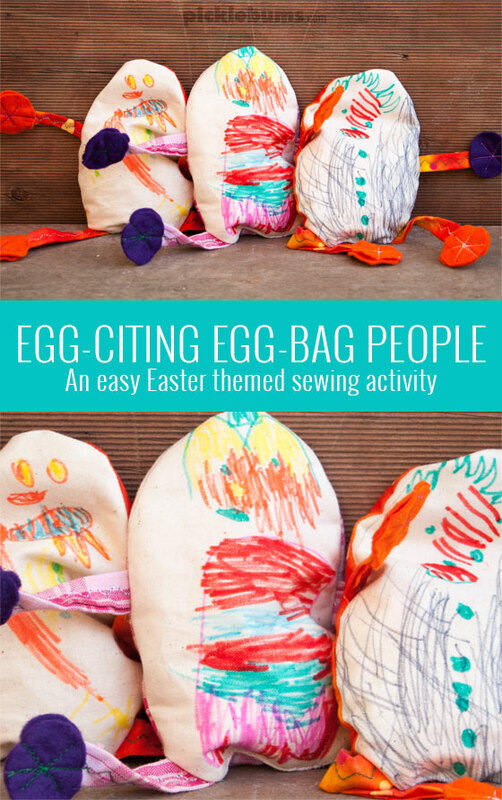 Easy Easter Craft – Egg-citing Egg-bag People. When my twins were three, they didn’t know there was chocolate inside those pretty eggs and bunnies in the supermarket! 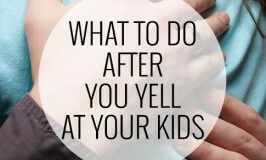 Lucky for me, our extended family fulfils the role of Easter Bunny and leaves me to do some fin activities and crafts instead. And when the kids talked about ‘doing something special for Easter’ and I mentioned the words ‘craft’ and ‘sewing’ everyone was keen, so made some of these egg-citing egg-bag people! This fun Easter themed sewing activity is lots of fun and super creative. To make our egg-bag people we used plain calico fabric for the bodies and scraps of bright coloured cotton for the arms and legs and felt scraps for the hands and feet. I cut out roughly egg shape pieces of material, one for the font and one for the back. The kids drew on the calico with fabric markers giving the egg-bag people faces and other features. While the kids were busy drawing I quickly sewed some tubes of fabric for the arms and legs, adding circles of felt to the ends for hands and feet. When the kids were done drawing, we placed the drawn on sides of the fabric together, placed the arms and legs (with the hands and feet inside the egg and the other end poking out), and the kids helped me carefully sew around the eggs, making sure we sewed in the arms and legs, and left a hole in the bottom. We turned the egg people right side in, popping out their arms and legs, and fill them with a little bit of rice, then I hand sewed the opening closed and our egg-citing egg-bag people we done! 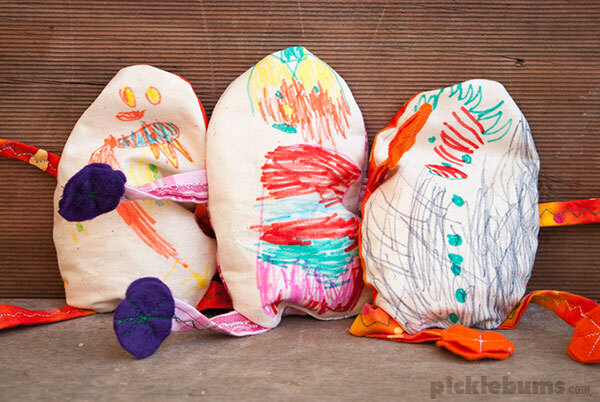 These cute little egg bean bag people are fun to make and are a great gift for the kids to make for others. Brilliant idea – might have to try this – the girls love to help me sew. I’m a bit like you – not religious and not Eastery. Lucky the girls are with my Mum and sister for a couple of days. oh they are the cutest creations, I love your creative solution there Kate, well done! Very cool! That might be an idea right up La’s currently craft-lovin’ alley! Not a huge fan of La having chocolate either here so we have plastic eggs which get filled with little goodies (the little schleic animals etc) to stash in the garden for the hunt. 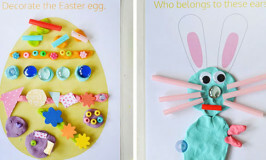 Home » Easy Easter Craft – Egg-citing Egg-bag People.